It’s the middle of the month which means time to reveal next month’s The Holo Hookup box! This indie collaboration includes Cupcake Polish, Different Dimension, and Glisten & Glow as constant contributors with a new guest maker and theme each month. The theme for April 2016 is ‘Autism Awareness’ and features guest maker Bliss Polish! Autism impacts the normal development of the brain in the areas of social interaction, communication skills, and cognitive function. Individuals with autism typically have difficulties in verbal and non-verbal communication, social interactions, and leisure or play activities. It now affects 1 in 68 children and varies greatly from person to person – no two people with autism are alike.This month The Holo Hook up is donating $4 from every box to the National Autism Association. 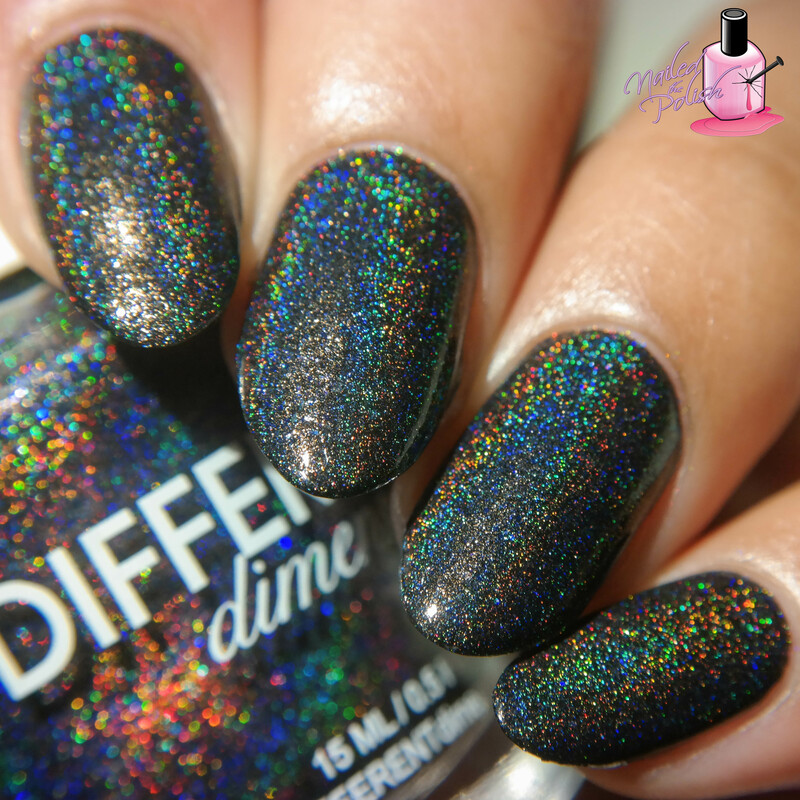 Different, Not Less is a true blue linear holo with blue microflakes. Shown here is two coats plus top coat but it could easily be a one coater! Formula is wonderful – so easy to apply and control with amazing coverage. Plus how gorgeous is the true blue hue?! I ❤ Someone with Autism is a black linear holo with blue shimmers and flakies and navy blue holographic micro glitters. Shown here is ONE coat plus top coat. Can you say perfection?! I am loving everything about this polish! Easily one of the best black holo polishes in my collection! I really love this month’s theme and the fact that part of the proceeds will go to the National Autism Association. It really warms my heart to see makers come together for a cause like this ❤ As you already have read, formulas are exceptional as are the colors in this month’s box! This box will only be available during the week pre-order starting Monday, March 21st at 9pm EST ending Monday, March 28th at 9pm EST.